Why Tomorrowland Matters, Part 3: Does It Matter? 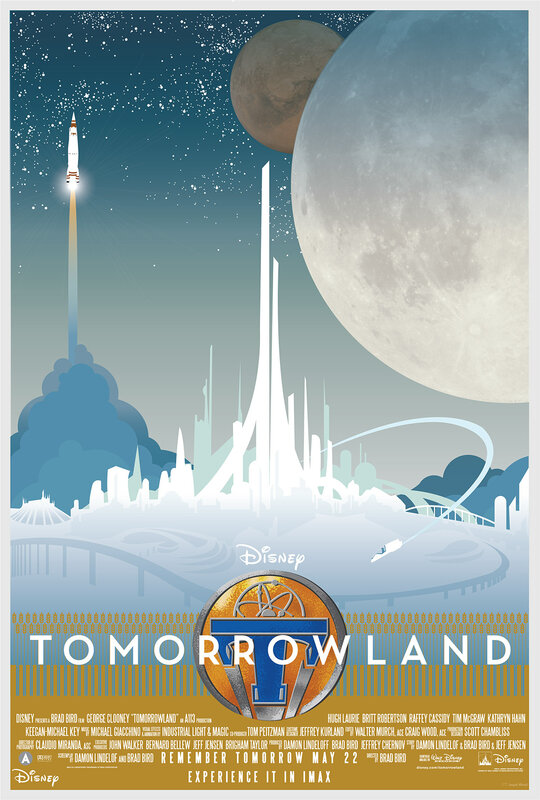 Tomorrowland fan-art poster courtesy of Joseph Marsh. Check out more of his amazing artwork on Behance! 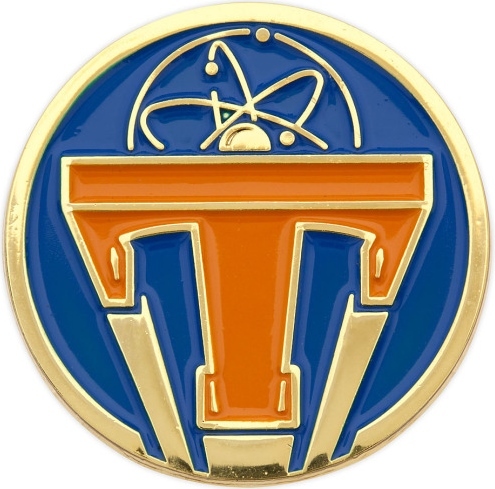 In Part One of the Why Tomorrowland Matters series, I spoke of my speculation of the upcoming movie, and my hopes of what it really was. In Part Two, I spoke of why the idea of Tomorrowland was so important, especially in a hardened and cynical world. Now, upon seeing the movie this past weekend, it’s time to ask the big question: did the movie live up to it’s expectations? Does Tomorrowland matter? Short answer: Yes, it really does. Of course, I have a longer reply as well, but it really comes down to the above statement. I’m reluctant to go too far into the movie plot, as many have not seen the movie yet, and I have no intentions to spoil it for those who intend to. What I will say it that, after viewing it, I definitely walked out of the theater with a feeling of optimism, which is exactly what the filmmakers intended. After seeing many mixed reviews, part of me truly believes how this movie is received depends on how much the viewer is willing to buy into this message. I, for one, am enamored with the idea of a place where people work together, toward a better and brighter future. Away from the distractions and discouragements that this world tends to offer, who knows what can happen? And that, my friends, is what Tomorrowland (The place within the movie) was meant to be. But is it? Can a brighter tomorrow be accomplished? These are the questions that linger as Casey (Britt Robertson), an intelligent and optimistic teenager who receives the mysterious Tomorrowland pin, and Frank (George Clooney), a cynical ex-resident banished from Tomorrowland, attempt to find this alternate-dimension locale. While this movie is more about the journey than the destination, the destination itself is pretty phenomenal. To explain the real reason behind the journey aside from Casey’s curiosity would be, once again, giving too much away. Let’s just say there is a problem that needs to be solved, urgently, and the answer lies in Tomorrowland, along with the overseer of Tomorrowland, Governor Nix. Why it all really matters, what it ultimately comes down to is this: Tomorrowland is a movie with a positive message. Are we as a people really doomed, or can we fix it? That’s what it really asks, and dares us to imagine it’s the latter over the former. I realize to many, it may come across as preachy, but for me, it was a message that needs to be heard. I’ve also heard from many there are too many plot holes. I would dare to say, there are some lingering questions that I’d love to see answered (perhaps in the form of an extended cut Blu-ray release), but to me personally, it didn’t take away from the fun or tone of the movie. And believe me, it is a very fun movie if you allow it to be – great humor and surprisingly intense action, especially for a PG rated movie! I would like to register a complaint, however. I wore this on Small World… and nothing happened! As far as performances go, as the leads, George Clooney and Britt Robertson are great in their parts and do the roles justice. Robertson exudes an optimism, even in the darkest moments, while Clooney portrays Frank as jaded, but still shows a possible (deeply buried) spark of hope when the time comes to do so. Hugh Laurie was wonderful as David, and gives a great speech – about what, you’ll just have to go see and find out. (I realize there’s a lot of ambiguity in this review, but it’s best to remain spoiler free, and see and decide for oneself.) The biggest surprise though, is the performance by young Raffey Cassidy, who plays Athena, the mysterious young visitor/messenger from Tomorrowland. Her performance is quite memorable, and a character that definitely stuck with me well after we left the theater. So does Tomorrowland matter? Yes. As a movie, very much so, and even more as an idea and a place many of us long for. I encourage anyone on the fence about seeing this movie to not listen to the critics. Instead, buy a ticket, see it in theaters while you can (I saw it on a large screen with great sound, but have heard the IMAX version is amazing! ), and decide for yourself. At the same time, as a side note, you’ll be supporting original, non sequel or rebooted movies, which is something we don’t get much of right now! I’d love to hear from you, fellow DisNerds – have you seen the movie? What are your feelings on it? Please keep spoilers to a minimum, if not non-existent. If you would like to discuss plot details, I’d be happy to do so. Just message me through the Confessions Facebook page! Are you ready to go to Tomorrowland? I know I am!